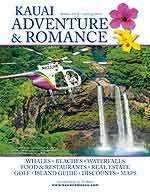 You can also pick up a free printed copy of the FREE Coupon Books or the Adventure and Romance Magazines when you get to the Big Island and at the Honolulu Inter-island Airport. Click here to view locations: “Coupon Book Locations”. Free Coupon Books and Adventure Romance Magazines are FREE at island-wide locations. Click here to view locations: “FREE Coupon Book and Magazine Locations”.